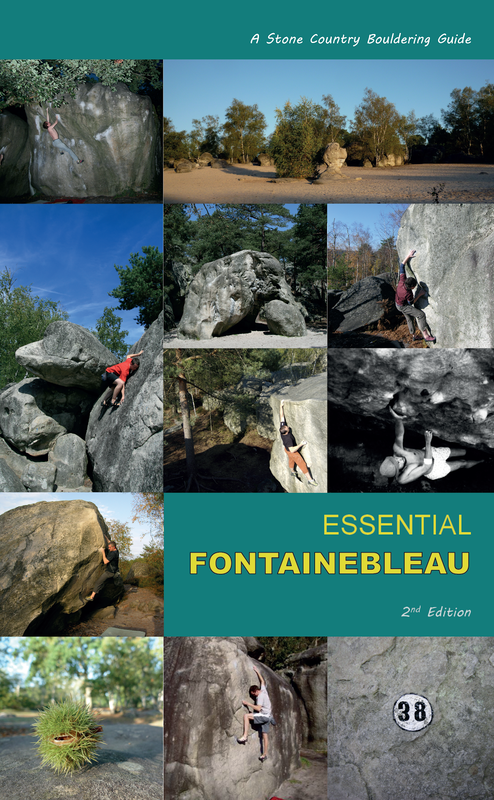 The Stone Country Guide to Essential Fontainebleau is nearing completion and should be printed before the autumn bouldering season is upon us. It is a combined editorial collection of the forest's best problems at all grades (up to 8a anyway, anything above that, we figure you know the forest!). The book is a pocket guide with a visual photo-topo approach to represent the secrets of those problems that constantly elude you, with one page topos for each area, so you need not flick back and forth between sections of the book. 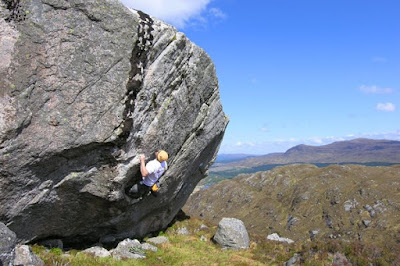 Each problem is given a photograph and description to illustrate its moves or holds - often an issue with new visitors as many problems have hidden technique, forbidden holds or are simply not obvious at first glance! The guide will retail around ten pounds and will be close to 200 pages of full colour! It is designed to provide the beginner, intermediate and even the yearly veteran with an admirable tick-list: it provides hundreds of bench-mark problems and classic historical problems to guide you through the grades. 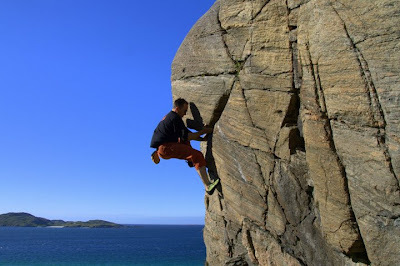 A team of experienced boulderers has helped select the best problems that illustrate the various techniques and specific strengths required in the forest, from smearing footwork to body-tension roofs to the slopiest winter testpieces! Have a look at the sample below and if you have any photographs of classic problems, please email stonecountrypress@btinternet.com with anything from your collection... we have plenty of room left for good photographs! 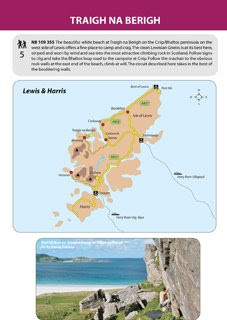 With the advent of exciting new books from Stone Country, we are looking for photographs and authors to illustrate the richness of climbing in Scotland and for Guy Robertson's new book 'Great Scottish Climbs' so get in touch if you'd like to have any of your hard-earned photos or 'epic' essays appearing in this 'superbook' of Scottish climbing. 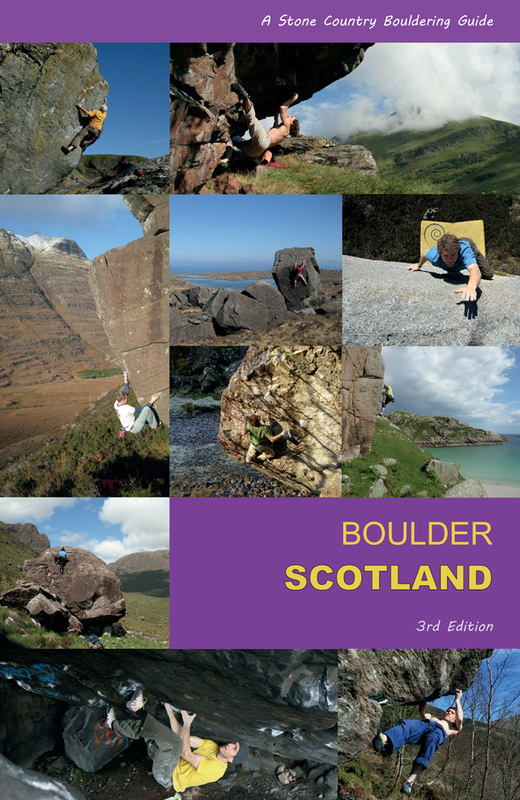 We'll also be adding downloadable bouldering guides in various formats (book, mobile and .pdf), so please check back soon on the main site for a variety of new guides at affordable prices. 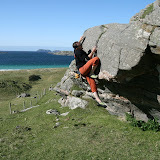 In the meantime, we are still running the summer 'bouldering' offer (£40 for 'Elements', 'Bouldering in Scotland' and 'Stone Play')! 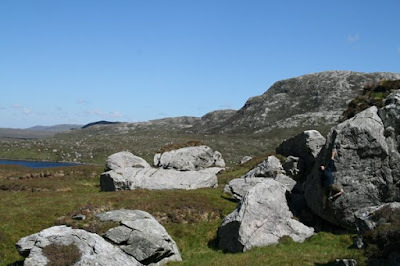 See the main site.